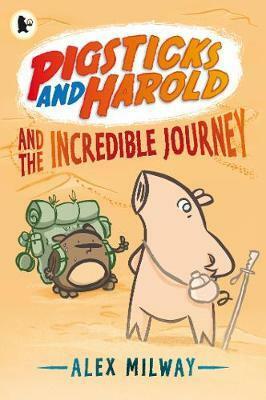 Pigsticks and Harold set off on a journey to the Ends of the Earth armed only with a sense of adventure (Pigsticks'), common sense (Harold’s), and a lot of cake. They pick their way through jungles, trek across deserts and climb a huge mountain, but the Ends of the Earth are always just out of reach. When their last crumb of cake is stolen and it doesn’t look like they’ll ever make it home again, they finally find the Ends of the Earth - in the last place they’d ever think to look. This is the first book in a hilarious new series about an overconfident pig and his nervous best friend. It will appeal to both boys and girls. It features full-colour illustrations packed with visual jokes. It is ideal for children who are starting to enjoy reading on their own.